York County, Pa., is serious about its public art. 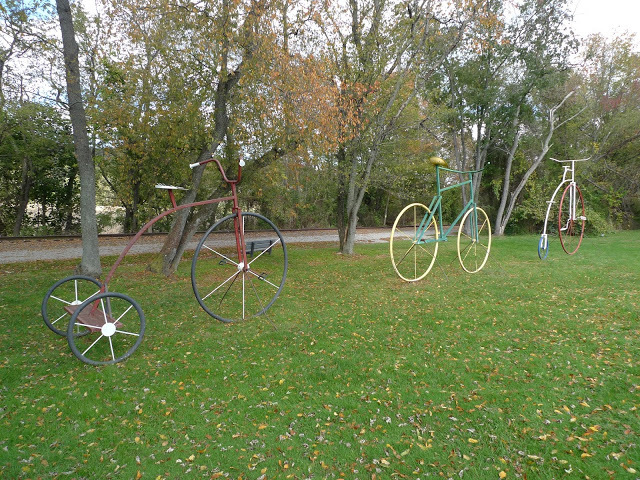 These sculptures, presented on the VeloPhoto York blog, stand along the York County’s main rail trail north of Seven Valleys, , have been in place for several years. 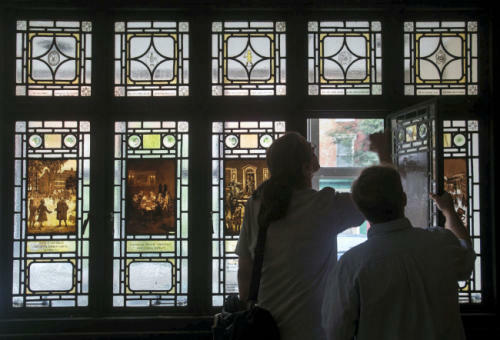 This artist reached back into York County’s past to bring up these images. Bicycling – recreational and competitive – has been popular here for decades. Here’s a photo of a bicycle race at the York Fairgrounds track in 1904, for example. But back to Seven Valleys. The scale of this artwork is hard to tell, so biker/photographer Rick Ramage helps out: ‘They are very tall. I would estimate that the green bike’s seat is a bit over 10′ high.’ Also of interest: 1 York, Pa. building, 100 years: From Red’s bikes to Redeux market. Other neat, unrelated stuff from all over … . New book on York native: Gen. Jacob Loucks Devers profiled (If photos below don’t appear on your mobile device, click on the date). Jacob L. Devers: A General’s Life, is now on sale at the Trust’s Museum bookstore. This new title is written by Dr…. History Mystery: The up close view … .